San Juan Capistrano, California "The miracle of the "Swallows" of Capistrano takes place each year at the Mission San Juan Capistano, on March 19th, St. Joseph's Day. As the little birds wing their way back to the most famous Mission in California, the village of San Juan Capistrano takes on a fiesta air and the visitors from all parts of the world, and all walks of life, gather in great numbers to witness the "miracle" of the return of the swallows." 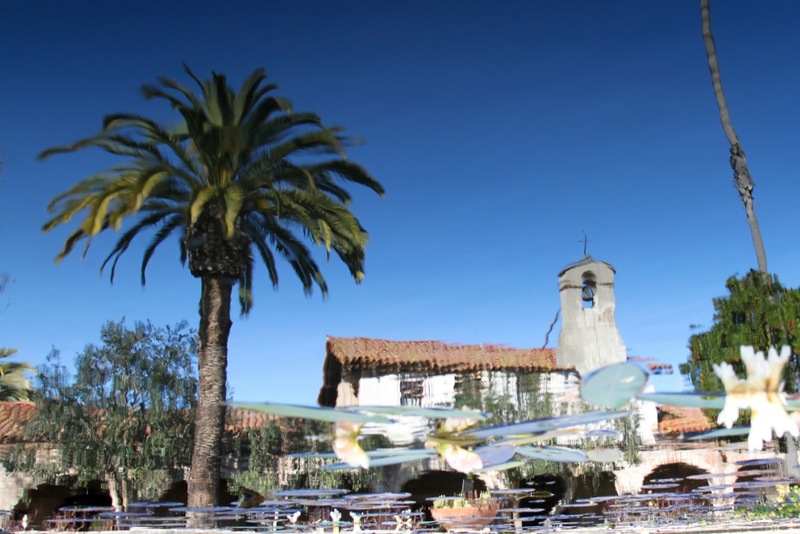 This is an upside down reflection of the San Juan Capistrano Mission. The mission was founded by the Spanish in 1775. I found the slightly breezy reflection in one of the mission's fountains. 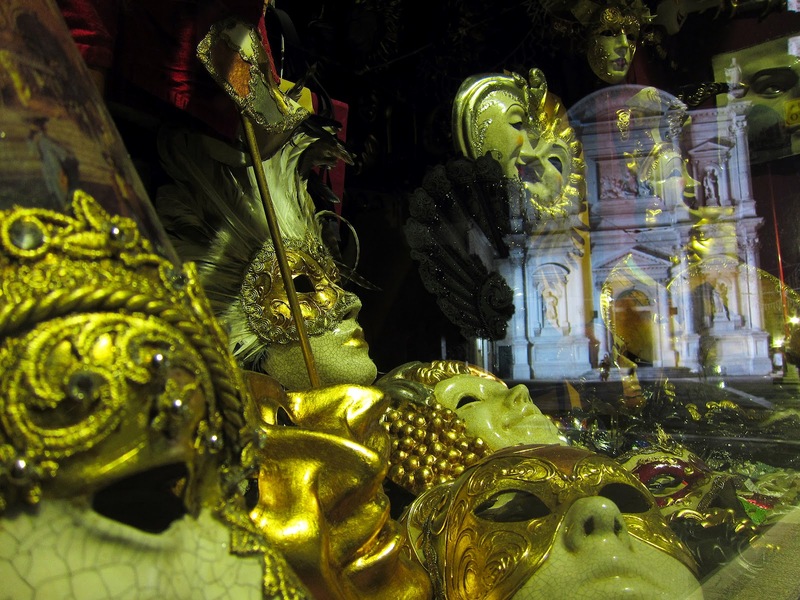 Venice, Italy (Campo San Rocco at night) -I counted fifteen masks but there may be more. 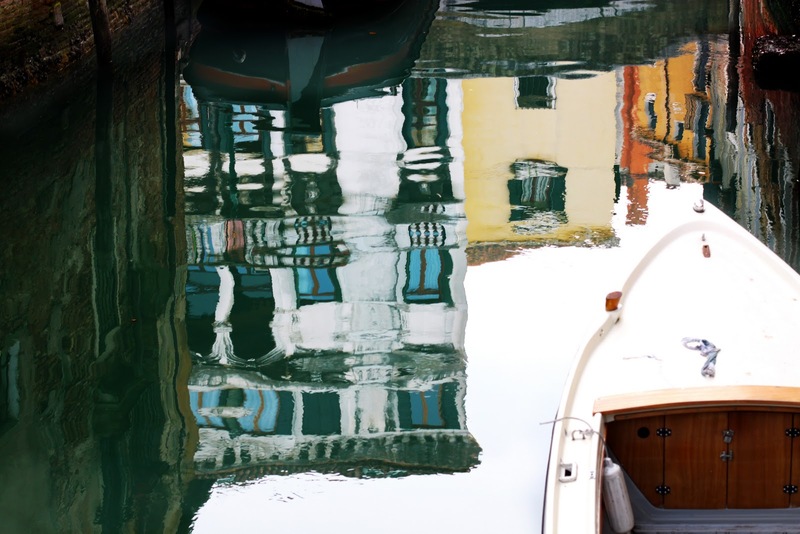 It's Carnival time and even the reflection of the Church of San Rocco wears a mask or masks. 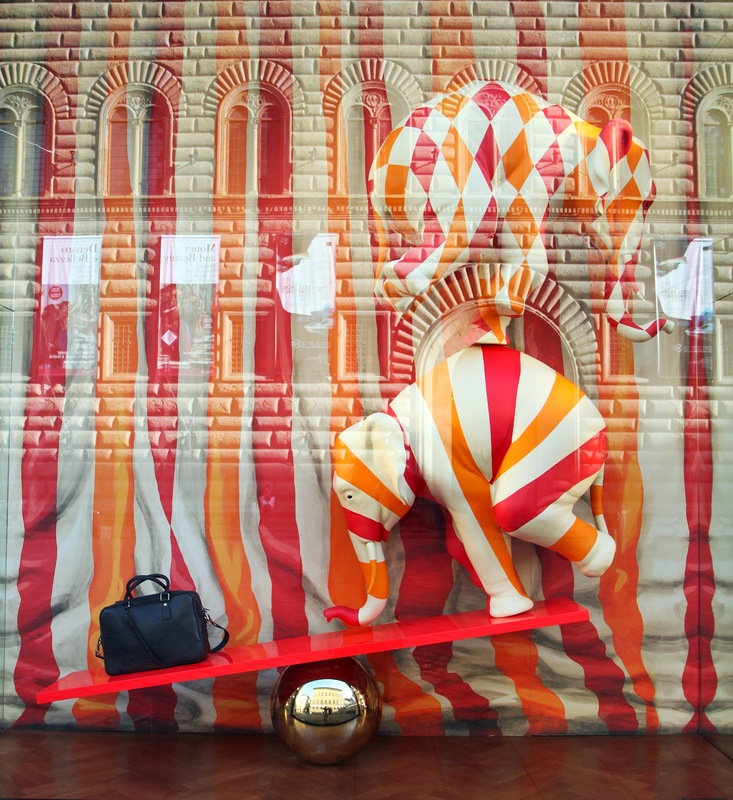 This is a window display at the Louis Vuitton store in Florence, Italy. Look at the gold ball. Can you see me? I'm there but my reflection is tiny. Maybe you can see the building that's behind me. It's the same building that's reflected at normal size further up in the photo. It almost looks like I was standing in the boat but I was actually standing on a little bridge above the water.